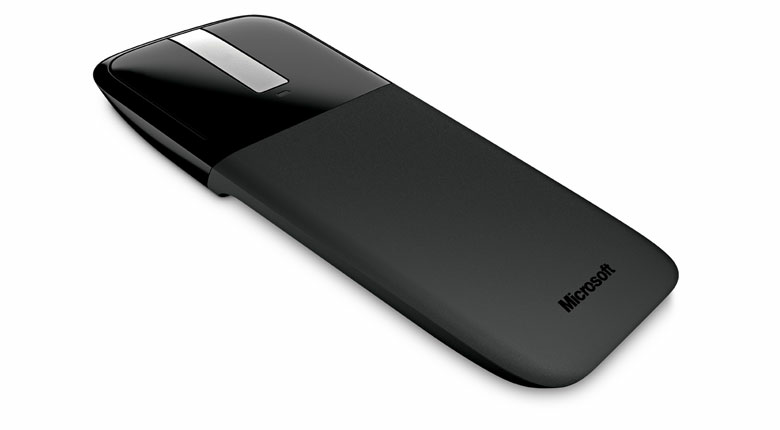 Enjoy stylish, compact comfort and reliable wireless freedom at your fingertips with the Microsoft Arc Touch Mouse. Curve it comfortably for use. Then smoothly glide your finger up or down the scroll pad to navigate through a page and the Microsoft Arc Touch Mouse responds precisely to the speed of your movement. Use it just about anywhere, even on a rough wood surface or your living room carpet, relying on Microsoft BlueTrack Technology**. 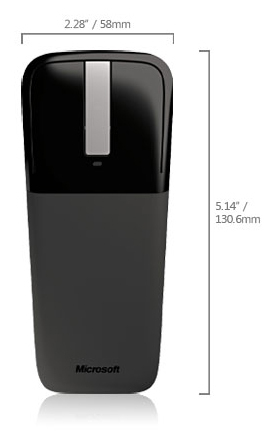 While giving a presentation or surfing the Internet, roam 30 feet away and retain reliable wireless control of your computer. When you pack up and go, you’ll travel in style. Keep the tiny transceiver plugged into your computer’s USB port, or tuck it into the underside of the mouse. Flatten the Arc Touch Mouse to turn it off, and slip it into your pocket or bag as easily as a cell phone. **BlueTrack Technology does not work on clear glass or mirrored surfaces.